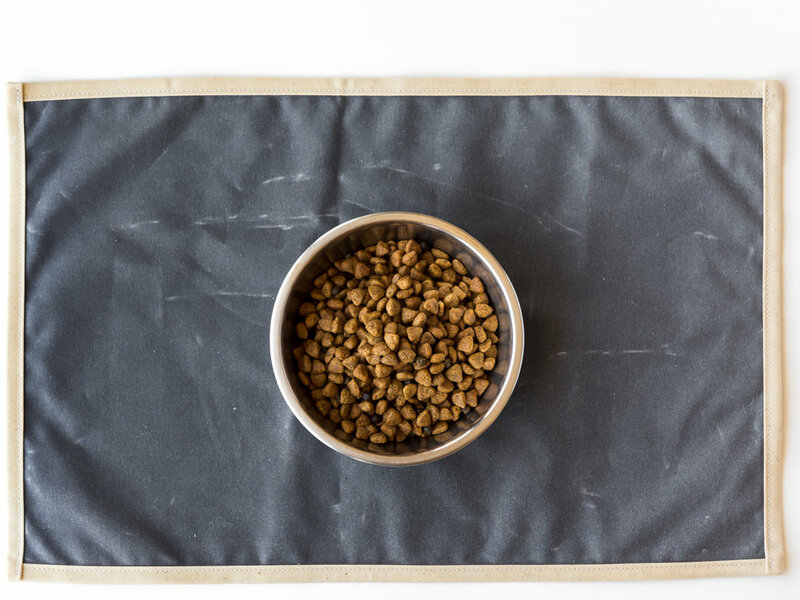 Our slate waxed canvas placemat is the perfect addition to your dog’s space. The waxed finish repels water to keep your floors clean, no matter how much your dog (or cat!) drools and spills. To clean, simply wipe down with a damp cloth.